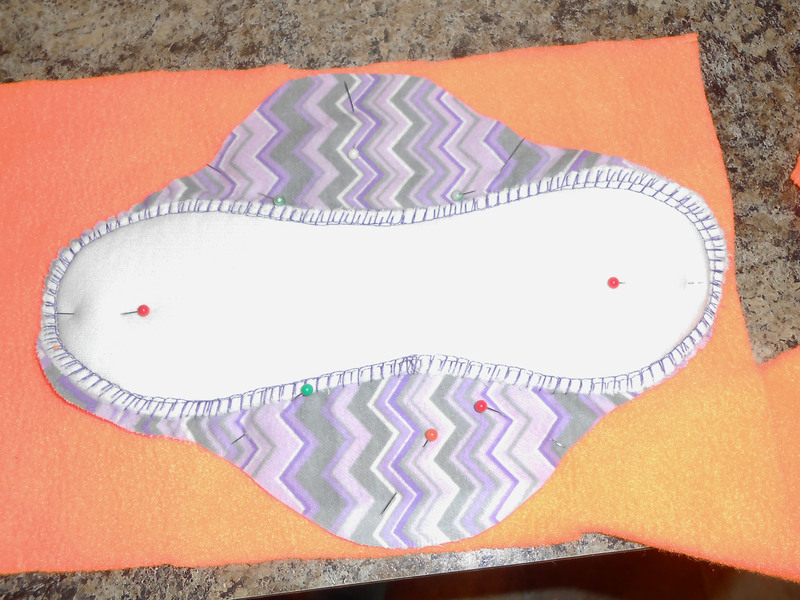 For this type of pad, I like to wait and cut my back pad body piece out until I’m ready to attach it. You can cut it out beforehand, but doing it now, you’ll have it perfectly lined up and pinned. Just pick your fabric, pin it down with the wrong sides together, and cut.